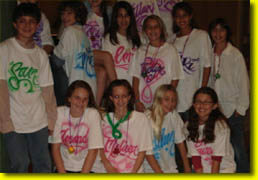 Looking for fun party favors? 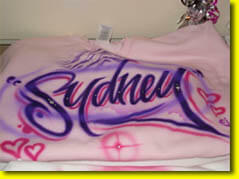 Our airbrush artists can personalize T-Shirts, Shorts, Hats, Totes, Pillows and more ! Perfect for a bat/bar mitzvahs, and quincenieras! 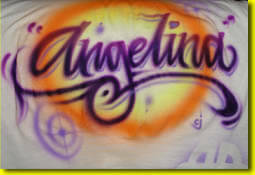 All party favors are hand airbrushed and customized with lettering of your choice. 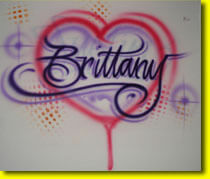 Script and graffiti lettering are our specialties. We serve the Miami Dade and Broward areas. Deposit: We require a non-refundable deposit to secure a booking. In the event of a cancelation, you may use the deposit amount towards a future booking, there are no deposit refunds. 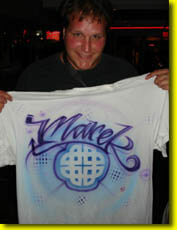 Airbrushed t-shirt parties require a minimum of 3 hours. Travel fee may apply depending on your area. 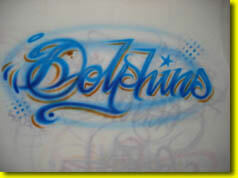 We are based in the South Beach area but travel all to all Miami Dade and Broward areas.